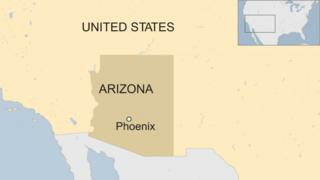 Police in the US state of Arizona have launched a sexual assault investigation amid reports a patient in a vegetative state for a decade gave birth. The woman is a patient in a clinic run by Hacienda HealthCare near Phoenix. Hacienda HealthCare gave no details but said it was aware of a “deeply disturbing incident”. A local CBS station said the baby was healthy and quoted a source as saying that staff had been unaware the woman was pregnant. A Phoenix police spokesman said that “the matter is currently under investigation” but declined to say when the inquiry had started or to give any details of the case. The CBS Phoenix affiliate KPHO-TV said the woman had given birth on 29 December. The source said the woman required round-the-clock care and many people had access to her room. Protocol had changed, the source said, and now men have to be accompanied by a woman on entering the room of a female patient. A Hacienda HealthCare statement read that it had “recently become aware of a deeply disturbing incident involving the health and safety of a Hacienda resident”. It said it was fully co-operating with the authorities. Hacienda Healthcare spokesman David Leibowitz added that the group was “fully committed to getting to the truth of what, for us, represents an unprecedented matter”. The Arizona Department of Health Services said it had sent inspectors to check on patients at the facility and had implemented “heightened safety measures”.